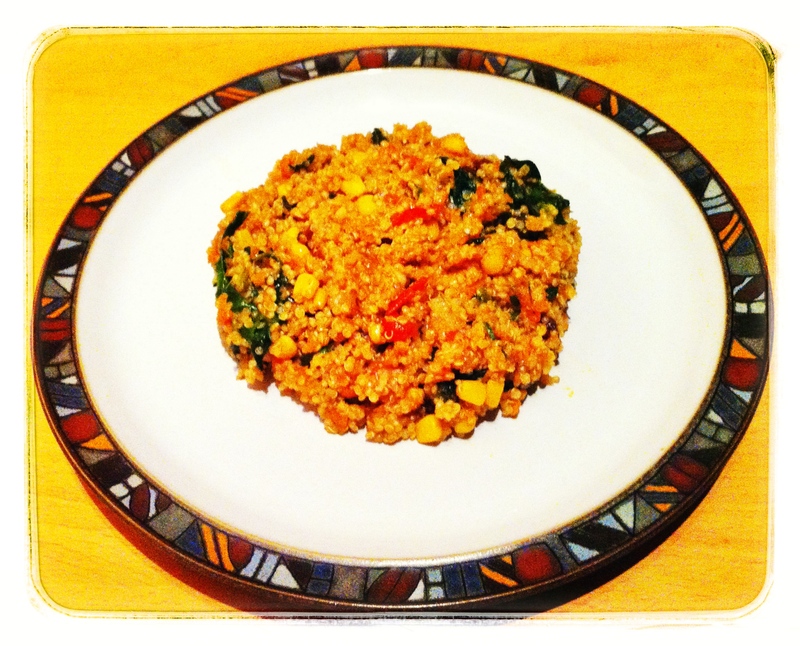 Mediterranean Quinoa & Chickpeas…for one!!! Place the quinoa in a fine-mesh sieve and rinse under cold, running water until the water no longer foams. Bring the quinoa, salt and water to the boil in a saucepan. Reduce heat to medium-low, cover and simmer until the quinoa is tender which should take about 20 minutes. Stir in the chickpeas, sweetcorn, chopped tomato, lime juice and olive oil. Season with cumin, salt and pepper. Add the quinoa and brown rice, and toast for a couple of minutes. Add the vegetable stock, bring to the boil, then reduce to a simmer. Cover the pan and cook for about 20 minutes until all the liquid is absorbed. Chuck in the grated courgette & cheese and season with the salt and pepper. Stir well and cook for 5 minutes or so until it’s nice and warmed through. 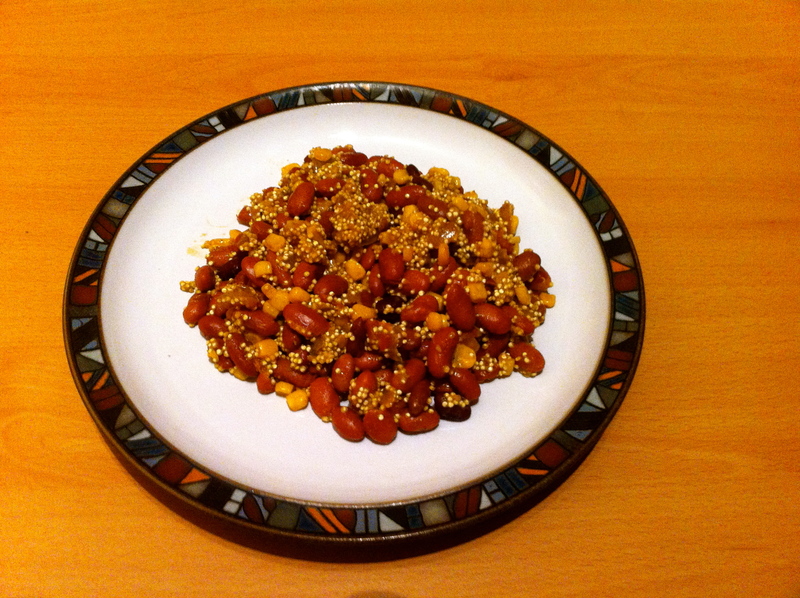 As always, these recipes are for a single serving…but usually quite a generous one at that!! It will take you about 30/35 minutes to prepare this. 200 gram tin/jar of red beans, drained and rinsed well. Heat the oil over a medium heat and sauté the onion and garlic for 3-4 minutes. Mix the Quinoa into the pan and cover with the stock. Stir well. Add curry powder, cayenne pepper and salt & pepper. Bring to the boil, then cover the pan, reduce the heat and simmer for 20 minutes. Stir in the sweetcorn and mix in the beans.